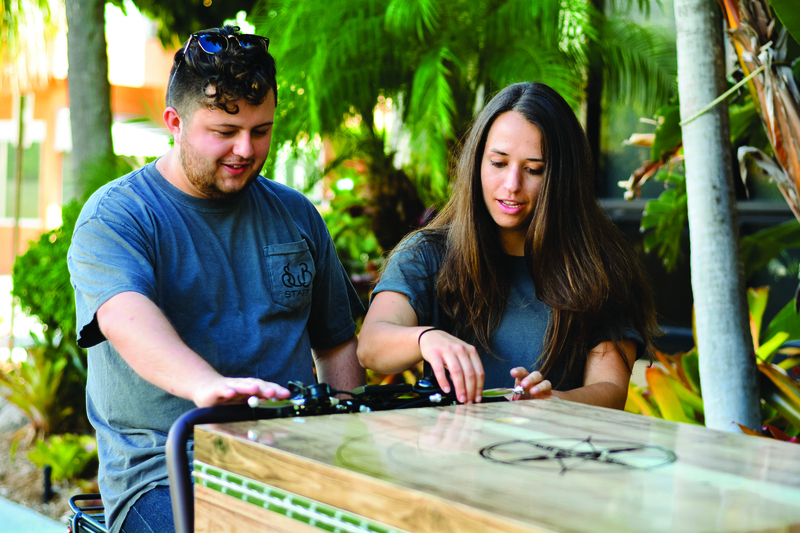 Amy Schatzmann, a 2017 graduate of Palm Beach Atlantic University, is not only a coffee drinker, she’s a coffee entrepreneur on campus with Seaside Brew. Her coffee is imported from Honduras, but she is working on importing coffee from Costa Rica. Schatzmann majored in finance at school, and also works 20 hours a week in that field. She has three employees working the cart while she’s at her other job.